Patrick Yip, Deloitte China’s vice chair, said the accounting giant has made offers to two Zhong Lun partners in Hong Kong to join J. E. Jamison & Co., a member law firm launched in January by Deloitte China’s general counsel James Jamison. One of the two partners has accepted the offer, according to Yip; he declined to name the partner, citing privacy concerns. As many as 10 lawyers from the Chinese firm have been approached to join J. E. Jamison & Co., including partners Victor Yang and Peter Chen, according to a source familiar with the matter. An earlier version of J. E. Jamison & Co.’s website listed six partners as Hong Kong members of Deloitte’s global legal network. Apart from Jamison, the other five were all lawyers from Zhong Lun. The five lawyers are Yang, Chen, Gilbert Leung, Frederick Hui and Jonathan Wong. Deloitte has taken the website offline and is ”looking into why certain unwarranted information is somehow linked to the new law firm’s website,” according to Yip. The group of five, said Yip, does not include the one Zhong Lun partner that has accepted the offer to join J. E. Jamison & Co.
A corporate lawyer, Yang is a founding partner of Canadian firm Boughton Peterson Yang Anderson, now known as Boughton Law Corp. In 2015, the firm’s Hong Kong office merged with Zhong Lun and became the Chinese firm’s Hong Kong office, where Yang served as managing partner until 2017. Chen is a certified public accountant and advises on tax matters. He joined Zhong Lun in 2012 from China’s DeHeng Law Offices, where he was a tax partner. Between 2005 and 2010, he was a partner at Deloitte and headed the China tax desk in New York. Leung, Hui and Wong are all disputes lawyers. James Jamison launched J. E. Jamison & Co. in January and remains to date the only partner. Before joining Deloitte’s Hong Kong office in 2011, Jamison was Clifford Chance’s Asia Pacific head of arbitration, based in Tokyo. J. E. Jamison & Co. is also currently recruiting senior and junior lawyers in litigation, arbitration, regulatory and private wealth and trust, according to job postings. In late November, Yip told Law.com’s The Asian Lawyer that J. E. Jamison & Co. will have 25 lawyers, including six partners, all hired from local firms, and focus on corporate and commercial matters. 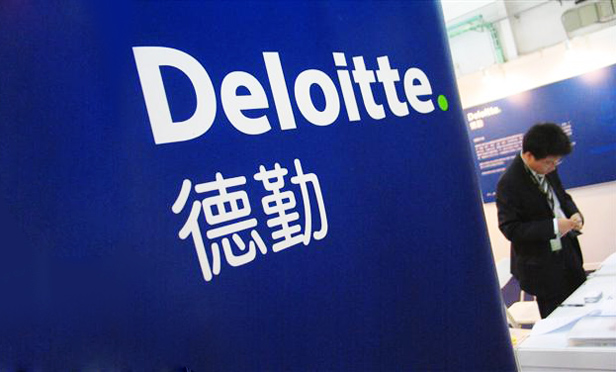 Deloitte is the last of the Big Four accounting firms to recruit for their affiliate Hong Kong law firms. KPMG opened SF Lawyers in January, just weeks before The Asian Lawyer reported the launch of J. E. Jamison & Co. EY and PwC, which launched their own firms in Hong Kong in 2015 and 2017, respectively, have been aggressively expanding since last year. While Deloitte is the last of the Big Four accounting firms to launch an affiliated law firm in Hong Kong, it was the first to start offering local law services in China. In 2013, the company launched Qin Li Law Firm in Shanghai.